Fall Festival Fun Has Arrived! We are excited to start seeing cooler weather, leaves changing, and the harvest season ramping up, and we are not alone! With 29% of Americans responding that they prefer an autumnal climate, Fall is considered the favorite season of the nation. 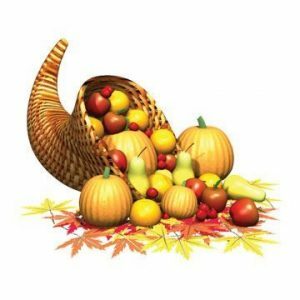 Fall festivals are a great way to welcome autumn with delicious food, fun and fabulous weather. The whole family is bound to find fantastic Fall fun ranging from a juicy apple harvest festival, an impressive pumpkin show, or a festival for the kids put on by the neighborhood church. Are you organizing a Fall festival, performing at one or attending one? Temporary tattoos are more than just personal decoration and fun for the kids. They work to support your organization and business in the hustle and bustle of busy festival environments. Here are a few creative ways to use temporary tattoos for your Fall celebrations. With so many people celebrating the season, you can get in on the fun with temporary tattoos. Instead of waiting in the face painting line for a simple design, why not get the kids something more unique? You can combine a variety of tattoo designs to create interesting looks. You’ll have more room to play with designs instead of settling for just one, and save time – applying a temporary tattoo only takes a few minutes! Our metallic pumpkin tattoo is perfect for fall festivities. 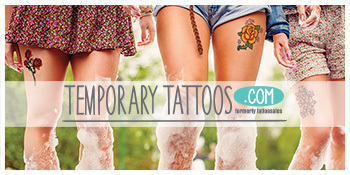 There are plenty of tattoo options to choose from, ranging from cute to cool to crazy. So, when your little one is waiting in line for the hayride, help them stand out in the crowd with a temporary tattoo like this Metallic Pumpkin tattoo. Not only is it perfect for the occasion but it’s also a great way to keep an eye on your little one. The tattoo is textured to give off a reflective effect, making it easy to spot your little ones from afar. Are you an entertainer looking to give kids some fun prizes to make them smile? You can give out kooky, silly temporary tattoos like this Thanksgiving turkey tattoo. Kids enjoy taking them home and swapping designs between friends and family. If you aren’t giving out prizes this year, use them as tickets to games and rides. The kids can either sport them as part of their look or carry them like trading cards in their pockets. Either way, you’ll have something to give them that you can be sure they won’t lose while waiting in line. If you’re a face painting vendor at your local festival this year and you want to skip the hassle of losing brushes or spilling paint, then temporary tattoos are a great alternative. They’re quick, they’re easy, and they’re a definite crowd pleaser. By letting the kids select their own combinations of tattoos, you get them involved in the creative process and they feel more ownership of the final result. Kids get artsy, the line moves faster and everyone enjoys the festivities. So, instead of spending twenty minutes on each customer, spend twenty seconds delivering high-quality unique designs. It’s a win-win for everybody. Tattoos are a fun alternative to identify attendees. Church and school festivals aren’t the only events being held in the Fall. Food festivals, wine festivals, and artisanal craft festivals all pop up around this time of year. Of course, with any major festival, usually half the community will attend. Help your volunteers and organizers keep track of the numbers with temporary tattoos. Instead of drawing an X on the hands of attendees with a sharpie, make it easier to identify attendees with something unique like this Cornucopia temporary tattoo. Hand out temporary tattoos along with registration forms for your vendors to add that extra touch that everyone will remember. Temporary tattoos can help you easily keep track of event attendees or vendors and make it memorable. Add a personal touch to your event with custom coasters. With custom coasters you can add your company’s logo and contact information to give visitors a memorable item to take home when the festivities are over. Or order custom tattoos to personalize your event. Event attendees will love to post selfies wearing their custom tattoos. When Fall festival season begins, a slew of lines to food trucks, beer gardens, and artisanal cuisine vendors are bound to follow. So, if you’re a vendor and you’re worried about getting slammed on the Fall festival circuit, why not utilize temporary tattoos as meal and beverage tokens for select customers? It can help turn meals around without having to switch between cash and card for every customer. They’re great for craft beer specials. You can also use them to help identify members of a group for a group meal. When a large group orders a round at the festival beer garden, use the temporary tattoos as markers or discounts for the table. Your customers will be happy to save and you’ll be happy to save those valuable minutes in the kitchen. Make it easy for people to find you in the vendor’s circuit with fitting temporary tattoo tokens like these delicious looking gourd tattoos. Perhaps you might be inspired to cook a special dish around it. When the time comes to go apple picking, browse the pumpkin patch, and head out for the hayride. You can find ways to keep the fun alive with temporary tattoos. Whether you’re a parent putting a smile on your kids’ faces, a vendor on the festival circuit, or a willing volunteer at this year’s local Fall festival, temporary tattoos help to make fun Fall memories. So, order your temporary tattoos today and welcome in this year’s Fall festival with excitement.